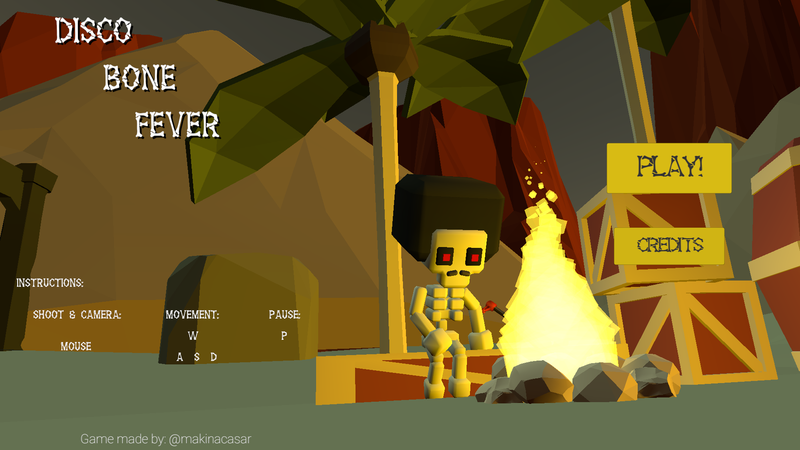 Help this afro skeleton flee the pyramid and other skeletons, who are not going to make it easy. He only wants to dance DISCO! Check the credits for Unity Assets and Sounds. PD: Sorry, I couldn't make the characters animations. Unzip the ".rar" document, double click on ".exe" and Enjoy!